R.B. Kitaj (American, b. 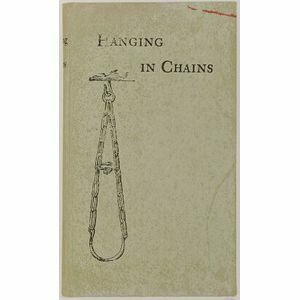 1932) Hanging in Chains. 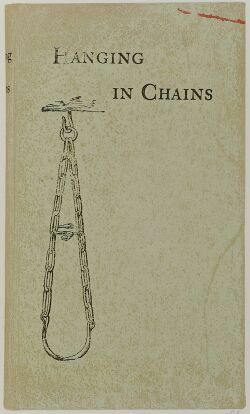 Hanging in Chains. Initialed "R K" in pencil l.r., stamped "K 7258" on the reverse. Color screenprint on wove paper with partial watermark, image size 18 3/4 x 11 1/8 in. (47.6 x 28.3 cm), unmatted, unframed. Condition: Wide margins with deckled edges to two sides, minor handling marks and creases. Yaacov (Jacob Gipstein) Agam (Israeli, b. 1928) Composition.